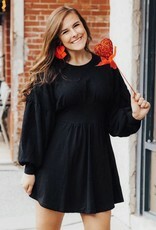 Listen Babes, there is nothing better than the perfect little black dress to pair with a bright pop of color accessory! Luxe Babe Jazmine is ROCKING this simple & chic look. 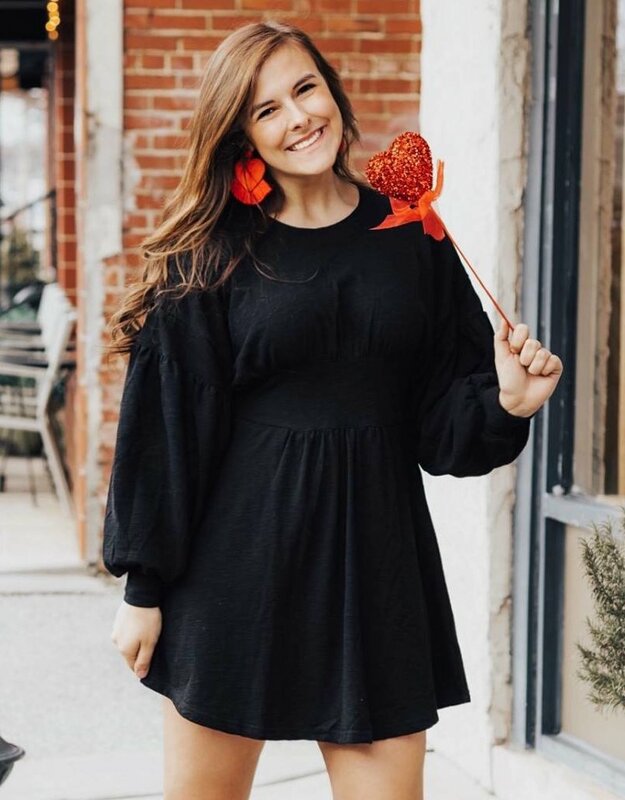 This outfit is perfect for dressing up or down for any event! Dress features a balloon sleeve detail & cinched waist.